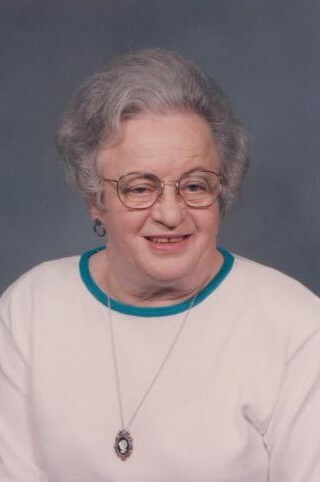 Lee Ora Killingsworth Correll was born on May 20, 1919, Whitwell, TN she passed away, March 22, 2019 two months before her 100th birthday at Mary Martha’s Personal Care in Rossville GA.
Lee is survived by her sisters, Nina (Bill) Payne of Ooltewah, Tennessee and Thora Mae Ware of Colorado Springs, Colorado, sister-in-law, Emma Gravitt, Scottsboro, AL and several nieces and nephews. She is preceded in death by her first husband, Willard Killingsworth, second husband, Ray Correll, parents, Genevieve and John Gravitt;brother, James Edward Gravitt and sister, Johnnie (Hoyt) Condra. Lee was a member of East Ridge Baptist Church.She was employed by DuPont.After her retirement, she enjoyed being a nursery worker at many area churches. The family would like to thank Martha Dawn and the staff at Mary & Martha’s Personal Care for the wonderful care Lee has received over the past 13 years.